Propnomicon: Cthulhu Fhtagn! Del Vecchio Edition. Cthulhu Fhtagn! Del Vecchio Edition. 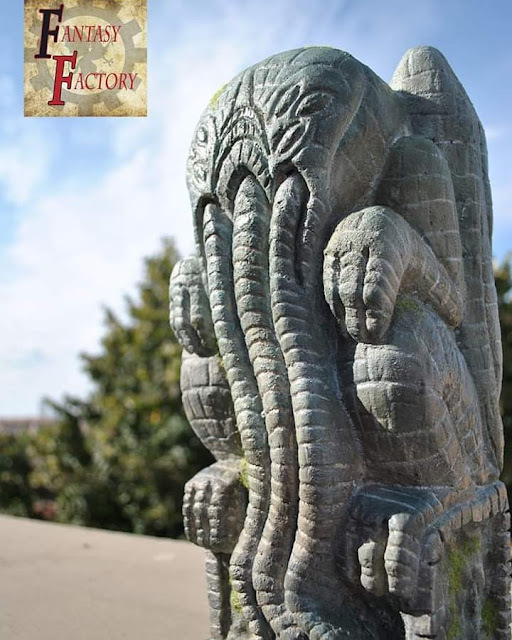 This primitive, carved stone Cthulhu idol comes to us from Italian artist Sara Del Vecchio. It's actually polystyrene foam, which makes the faux finish even more impressive. I thought the same thing, and remember PropNomicon introducing us to those first few soapstone and carved wooden idols.